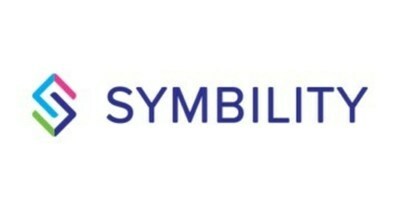 TORONTO, Sept. 12, 2018 /PRNewswire/ - Symbility Solutions (TSX.V: SY) ("Symbility"), a global software company focused on modernizing the insurance industry, introduced today a completely revamped interface to their marquee product, Symbility Claims Connect®, which makes the complex property insurance claims process easier, faster, and more efficient than ever before for carriers and the supply chain vendors that support them. The redesign brings several advancements to the claim workflow process, from First Notice of Loss to settlement. "I have been using the Beta version of the redesigned Claims Connect quite extensively for a couple of months now and find that the new setup makes navigation around screens much quicker and intuitive," said Lizzy Heusinkelt, Field Administration Specialist for Farmers Mutual of Nebraska. "It's easier for me to find the information I need and add my own as I perform my tasks." "Our goal as an organization is to modernize the insurance industry and improve the way property claims are handled. We strive to make claims estimating more effective and efficient for everyone involved – insurance carriers, vendors and policyholders," said James Swayze, CEO of Symbility Solutions. "By adapting our communication hub to recognize any browser or device and simplify the design for a broader user base, Claims Connect now brings new technological enhancements that will attract new customers and accelerate our growth globally." Months went into researching and speaking with Claims Connect users to learn how they use the software and what they needed more assistance with while doing their day-to-day job. Every type of user, from a carrier's front-line employees to external independent adjusters, and even third-party contractors, must to be able to quickly find the information they need, know what needs to be done with it, and act on it easily and rapidly. The new design of Claims Connect makes this possible. The Claims Connect user interface has been completely rebuilt to ensure that all users intuitively see and understand all vital information upfront in order to quickly take the necessary actions to resolve claims. A special focus has been put on creating enhanced workflows for the most commonly performed claims activities, while other claims material is hidden until needed, so that screens are clean and relevant information is easy to find. The all-new 'timeline view' makes catching up on the progress of a claim simple, while visible thumbnails of attachments make it even easier to find the right documents every time, no matter the filename. For the first time, users will be able to access Claims Connect from anywhere, on any device, and using any browser. Now, images can now be added to cases, statuses can be changed, and all other actions can be done within Claims Connect whether the user is at a desk or on the go. Mobile access to the platform also allows for notifications to be sent to any mobile device and therefore be acted on right away, helping to move claims along. Claims Connect was also built with speed in mind, as users now have the ability to perform batch actions across several claims so no time is wasted updating several claims individually. Contextual commands and actions also help the progression of a claim, by giving users the ability to take relevant actions on the information they are viewing without having to change pages so they can stay focused always. With multiple integrations from industry-leading providers, Claims Connect makes it simple to work with software and data partners. Symbility Claims Connect's open API allows customers to connect any data from their software partners, like aerial roof reports, 3D measurement tools, weather, material identification data etc., and easily integrate them into any claims workflow. To see any of these features listed above in action and many more of the upgrades that Claims Connect has undergone, Symbility will be holding a webinar to walk people through the brand-new interface on September 25, 2018, interested parties can register to join here. 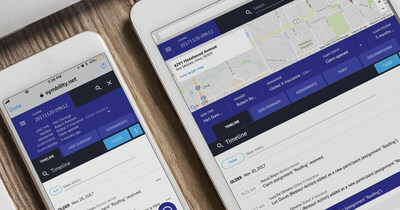 For more information or to receive a product demo of Symbility Claims Connect, please visit symbilityproperty.com/claimsconnect.